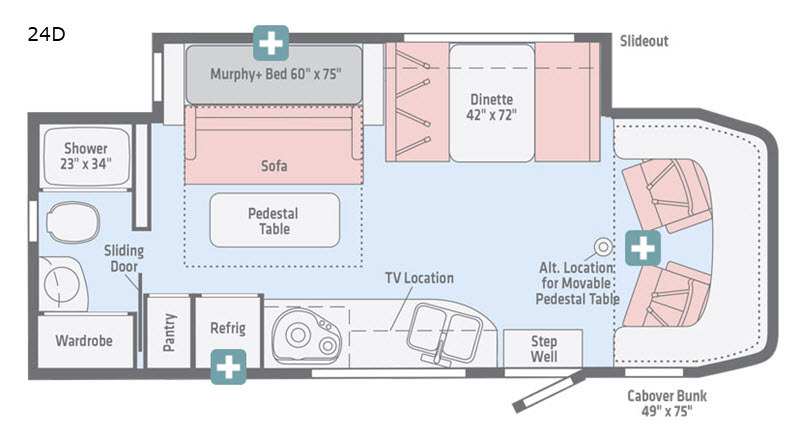 The Winnebago Navion is the smart choice for Class C diesel touring. Beginning with a Mercedes-Benz Sprinter chassis and turbo-diesel engine, you will be able to go anywhere anytime without missing any of the conveniences you are accustomed to enjoying because these motorhomes provide elegant living at an efficient level. 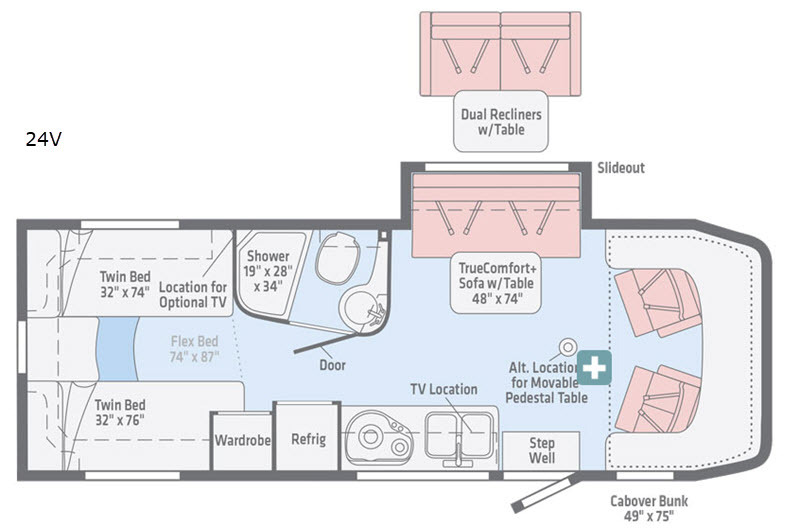 From the fully equipped cab area with swivel seats and a packed-out monitor system, to the high-class bathroom with a shower skylight and flexible showerhead, you won't be able to overlook the luxury that these motorhomes provide. Don't miss out on your chance to own a sleek and stylish home for the road by getting your very own Winnebago Navion Class C diesel motorhome today!